New York City is a shopping paradise and the best time to shop in the “City That Never Sleeps” is during the Thanksgiving holiday and on Black Friday, a famous day of sales. 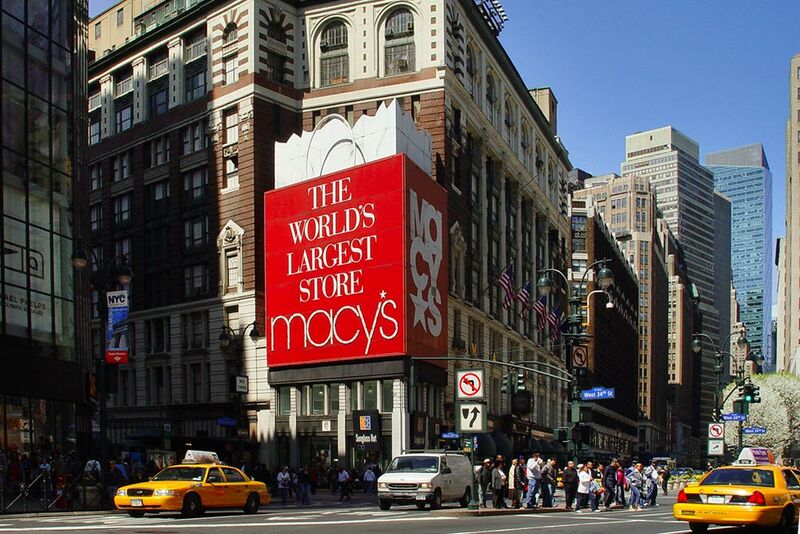 New York City is a shopping paradise and the best time to shop in the “City That Never Sleeps” is during the Thanksgiving holiday and on Black Friday, a famous day of sales and impressive discounts that’s held the day after Thanksgiving Day. 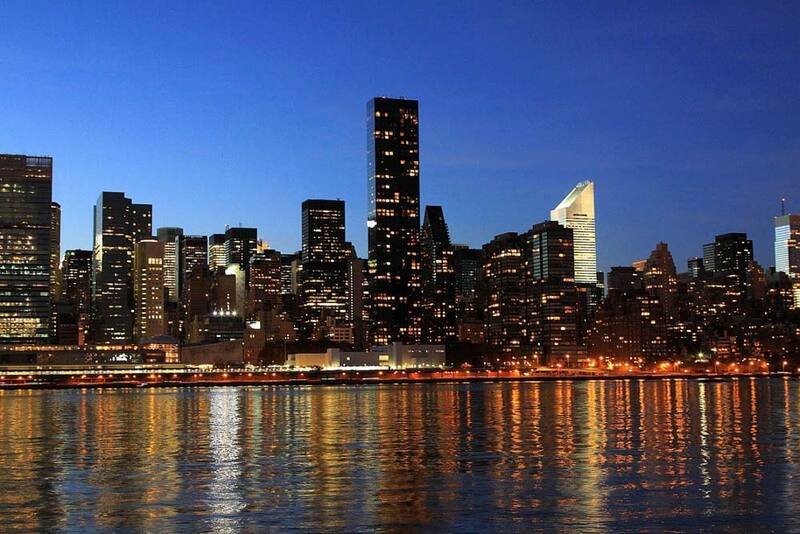 The first thing you’ll want to do is to define your priorities because New York City offers just about everything. After making a list of your ideas, categorize it by boroughs and neighborhoods so that you can make the most of every area without getting tired. Broadway Soho is home to countless stores, including Aldo, Madewell, Lulu Melon, H&M, Crate&Barrel, Urban Outfitters, American Eagle Outfitters, Old Navy, the Gap and many others. Within this six-block area, you’ll find shops with all the brands you can imagine. Near West Broadway, you’ll also find name brands like Marc Jacobs, Anthropologie, DKNY, Channel and J. Crew. 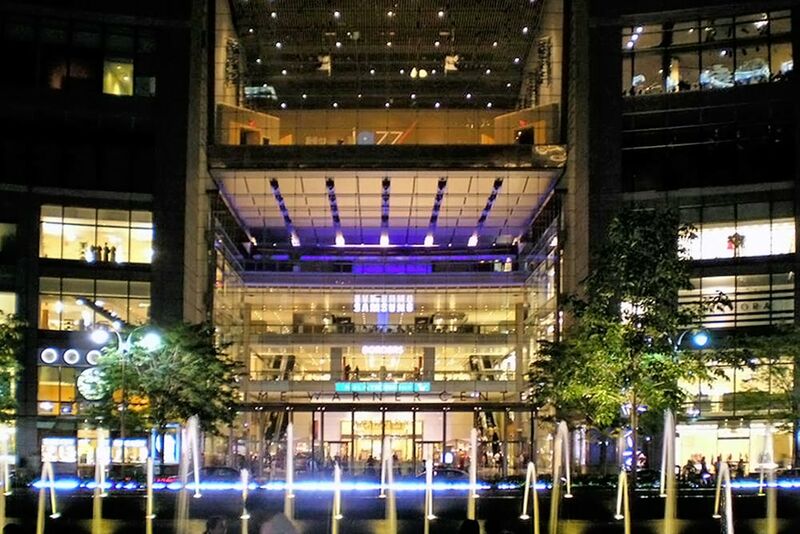 Another place with a myriad of shops is The Shops at Columbus Circle, located at 10 Columbus Circle, across from the corner of Central Park. This mall has quality name brands, such as Hugo Boss, Cache, Coach, L.K.Bennett and Stuart Weitzman. In addition, it offers a selection of excellent bars and restaurants. It also has a Whole Foods Market, a store selling Williams-Sonoma brand cookware and a wonderful Godiva chocolates shop. In the Williamsburg neighborhood, and more specifically on Bedford Avenue, there are lots of small boutiques. It’s worth a visit to go and explore the area. Bloomingdale’s is an upscale department store with brands and designers from A to Z, including Burberry, DVF, Marc By Marc Jacobs, Michael Kors, Ralph Lauren and Salvatore Ferragamo, among others. All of this luxury is available at two locations: Broadway and 1000 Third Avenue. Saks Fifth Avenue is another luxury department store with more than 100 boutiques. Here you’ll find D&G, Fendi, Gucci, Jimmy Choo, Manolo Blahnik, Prada, Proenza Schouler, Bottega Veneta, Tory Burch, Valentino and other name brands. At the Chelsea Market you’ll find designer clothing, gourmet products, decorative items for the home, beautiful kitchen utensils, restaurants and bars and even a vintage barber shop. 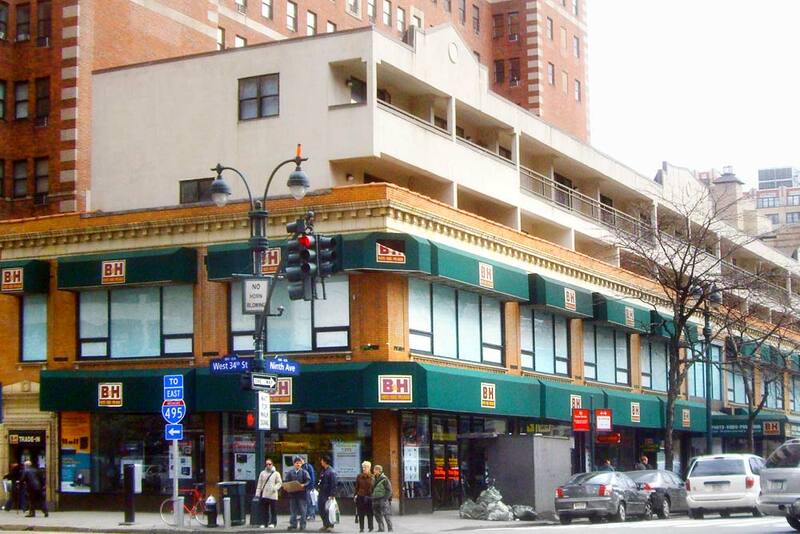 It is located on 9th Avenue between 15th and 16th Streets. 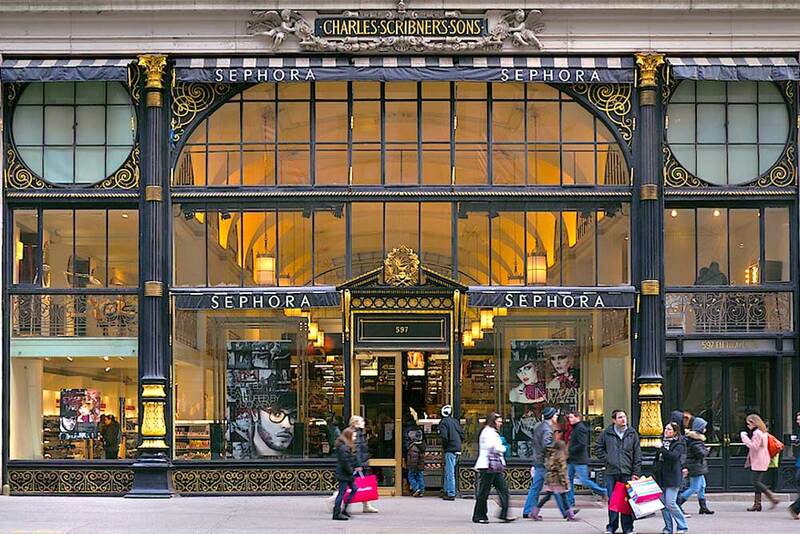 Sephora is the largest retailer of cosmetics in the world, with more than 1,700 stores in over 30 countries. The most famous location is located right on Fifth Avenue and is completely stocked with makeup, perfumes, skin and hair treatments, body treatments and nail treatments. It also offers items for men, including shaving products and more. Barney’s, in addition to being a department store, features a unique design with huge windows and red awnings. It offers a variety of brands, such as Givenchy, Giorgio Armani and Ermenegildo Zegna. The departments seem to go on forever and feature huge selections of men’s and women’s merchandise. There are also shops for children and teens and an outlet area with excellent discounts. The store is located on Madison Avenue, one block from Fifth Avenue and Central Park. Lord & Taylor is the oldest luxury department store in the United States. 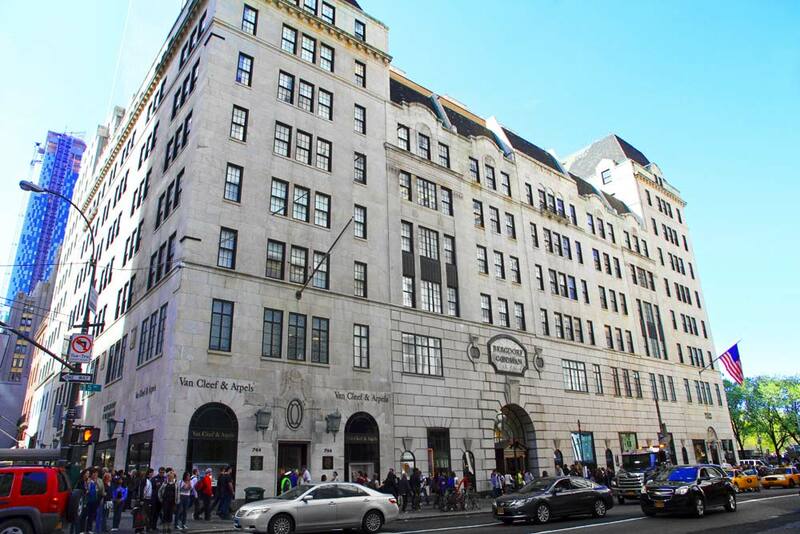 It is located on Fifth Avenue, on the corner of West 38th Street. 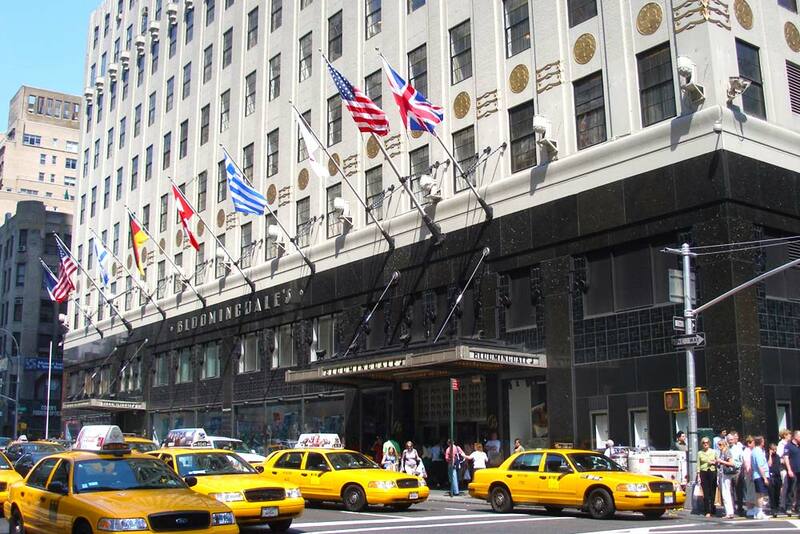 Bergdorf Goodman and Neiman Marcus are also well-known luxury department stores. They offer a similar variety of items, including home decor, clothing, shoes and cosmetics. Both are located in Midtown Manhattan. Nordstrom has five locations in the major areas of New York City. This chain is part of the luxury segment; however its prices are more affordable than the other stores. For photography lovers, B&H Photo Video is the best store for photography equipment. It is located on Ninth Avenue. With so many tips to help you make the most of your shopping trip, all that’s left for you to do is get organized. Undoubtedly, it’ll be like a journey in search of a buried treasure chest, where the most precious treasure of all is the word "SALE".